Billy Brownless is one of the most popular characters Australian Rules football has seen. A powerful forward who spent ten years with the Geelong Football Club, his value was highlighted, following the retirement of Gary Ablett, in the 1991 season when he kicked 81 goals and was rewarded with All-Australian selection. Billy played in four losing Grand Final sides, including a nail-biting epic against Hawthorn in 1989. 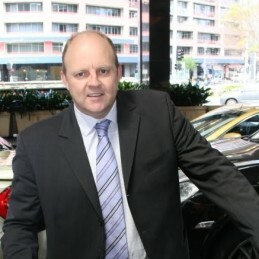 He finished third on the club’s all-time goal kicking record behind Doug Wade and Gary Ablett Snr, after numerous injuries forced his retirement in 1997. Post retirement, Billy’s popularity among the football public is unsurpassed. He is a mainstay of Channel Nine’s The Footy Show, The Sunday Footy Show, as well as hosting Triple M radio’s The Rush Hour with James Brayshaw. Billy has penned two books: ‘Billy’s Book for Blokes’, a modern guide for men in the 21st century and ‘The Best Man Walks into a Bar Jokes’. Incredibly popular on the speaking circuit, Billy entertains crowds with anecdotes and plenty of humour drawing on 25 years in football.